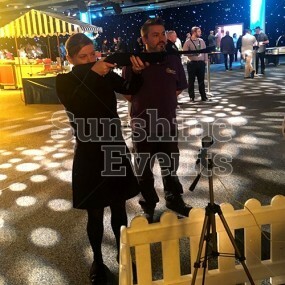 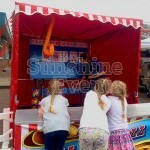 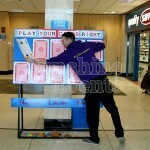 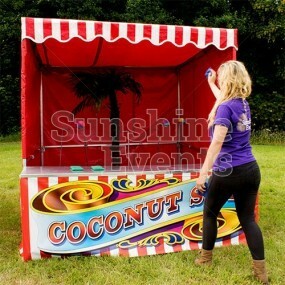 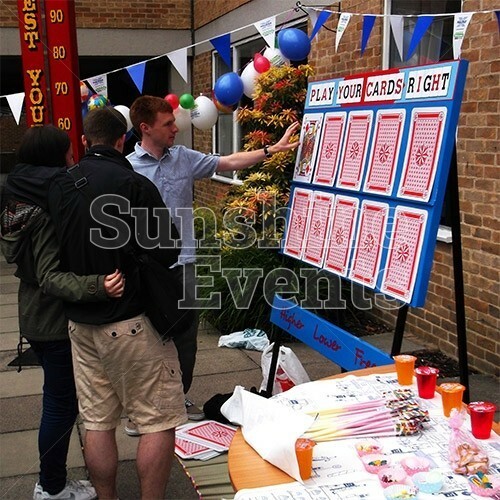 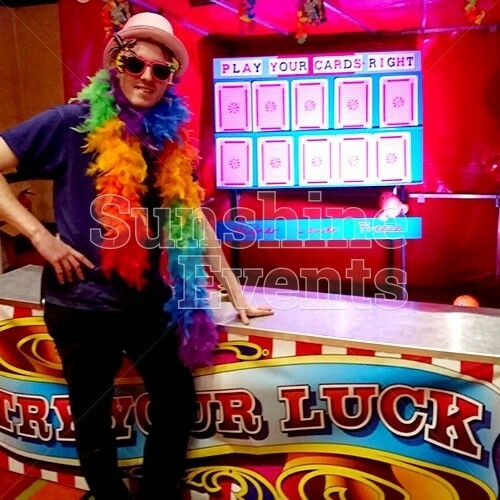 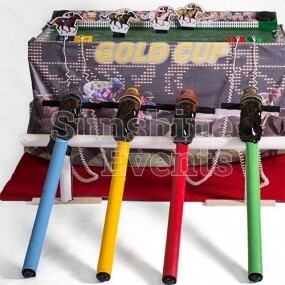 At Sunshine Events, we’re always on the look-out for new and exciting Side Stall games to add to our already huge range. 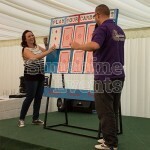 So using our thinking caps, we scoured the world of TV for some ideas and landed on a perennial favourite: Play Your Cards Right! 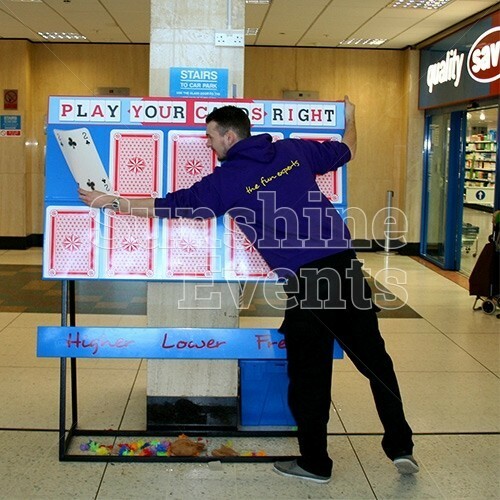 You don’t have to be a fan of Bruce Forsyth to fall head over heels for this great game - all you need is a little bit of luck! Just like on the TV show, the goal is get across the board of 5 cards, by predicting whether the next card will be of higher or lower value than the last. 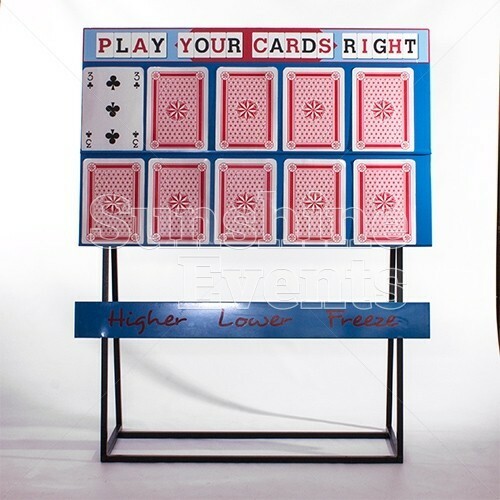 Sometimes your choice is easy - you land yourself a face card and you will instinctively choose ‘lower’. 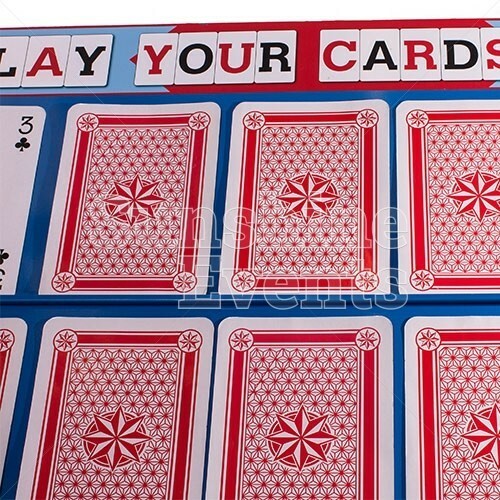 But every now and then, even a sure thing can trump you as you find the most unlikely of cards is turned over and you lose this round! 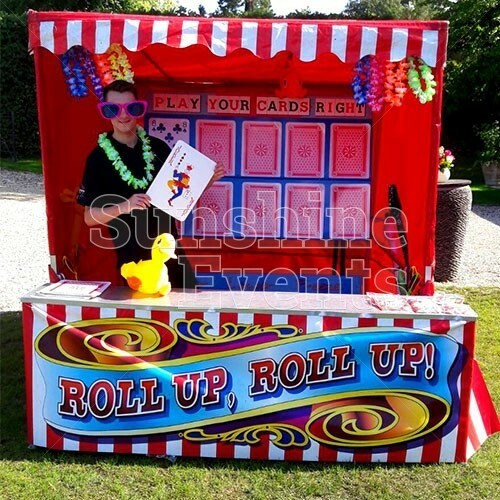 The Play Your Cards Right Stall Hire looks amazing in the colourful red and white side stall cover, with the invitation to “Roll Up, Roll Up” on the front and the custom-made stand to hold all your cards. 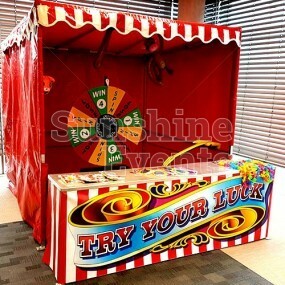 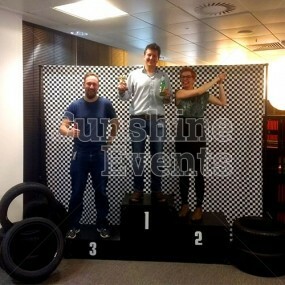 You can even hire just the stand itself, without the stall, if you so desire! 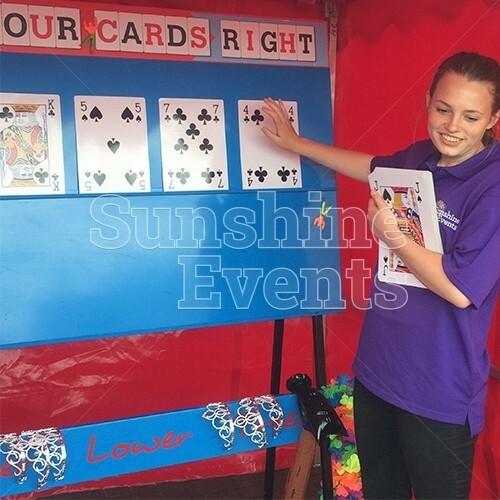 As with all our Side Stall hires, we also include 50 novelty prizes so there’s always some fun to win once you made it across the board! 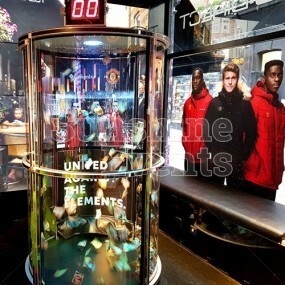 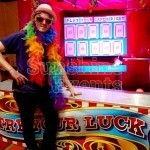 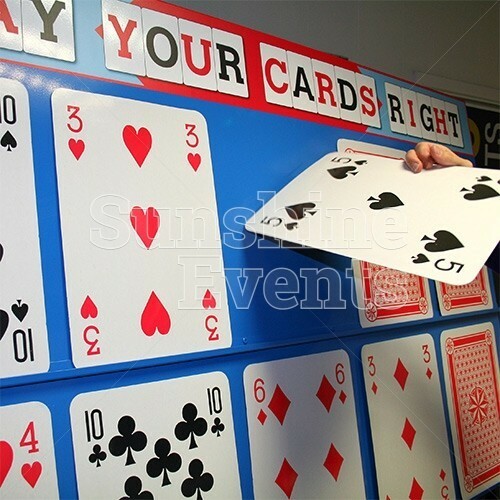 What events are the Play Your Cards Right Stall Hire suitable for? 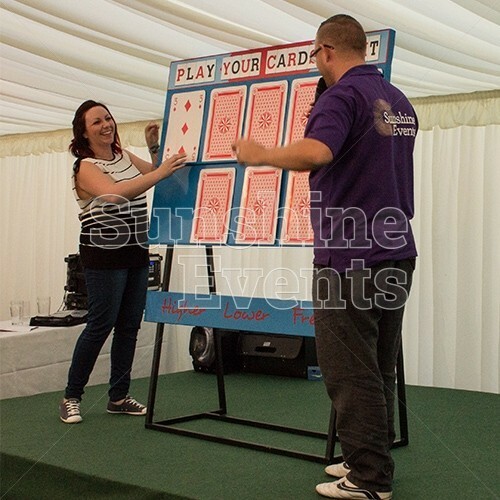 Get control of the board and take your guess and it could be a good night if you Play Your Cards Right! 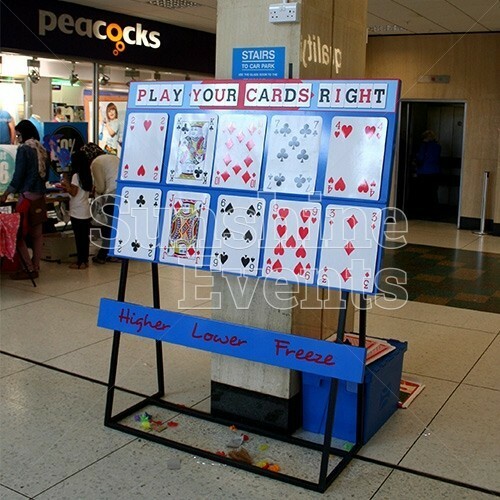 Nice to see you, to see you nice! 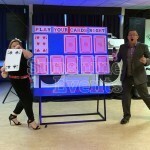 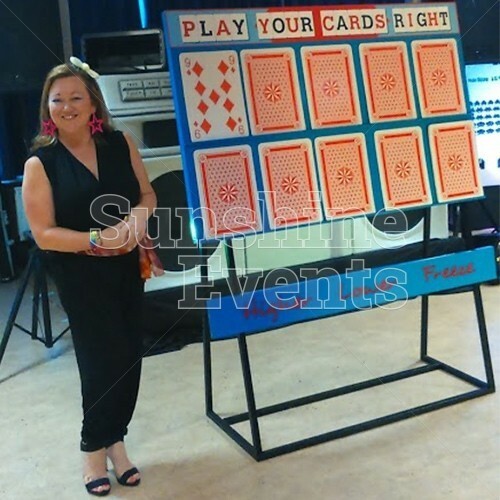 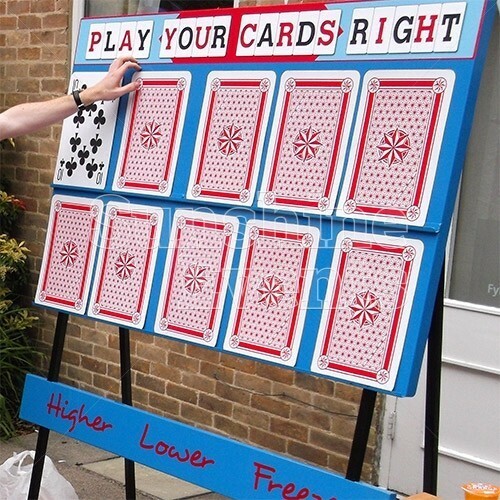 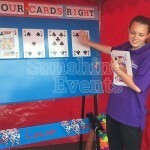 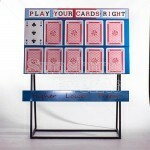 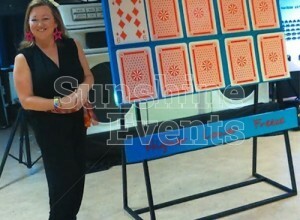 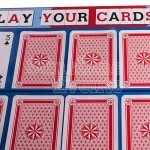 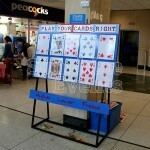 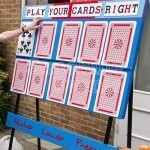 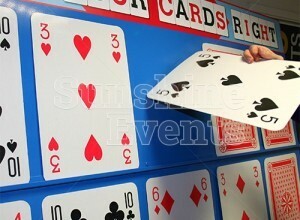 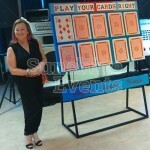 Play Your Cards Right Stall Hire has been added to your Event Quote.